Armament 9 x 8"/55, 8 x 5"/38, 8 x 0.5" 4 Aircraft. Armor, 6" Belt, 8" Turrets, 2 1/4" Deck, 6" Conning Tower. 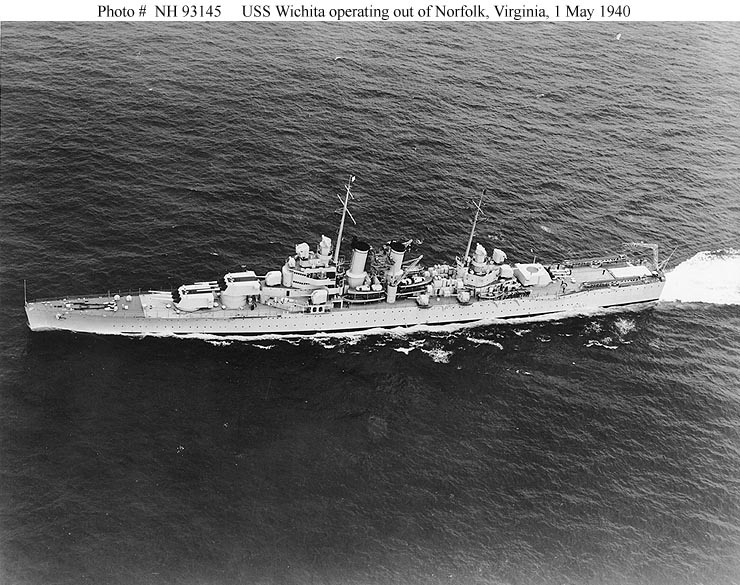 USS Wichita (CA 45) Operating in the Atlantic Ocean, out of Norfolk, Virginia, on 1 May 1940. Note the markings on her turret tops (bars on the forward turrets, a circle on the after turret). 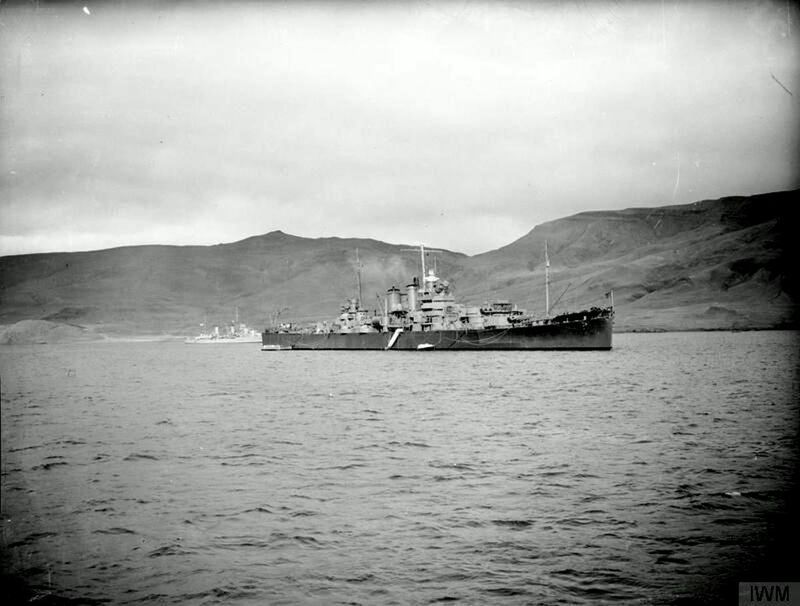 These scheme was used on several other heavy cruisers in 1939-40. 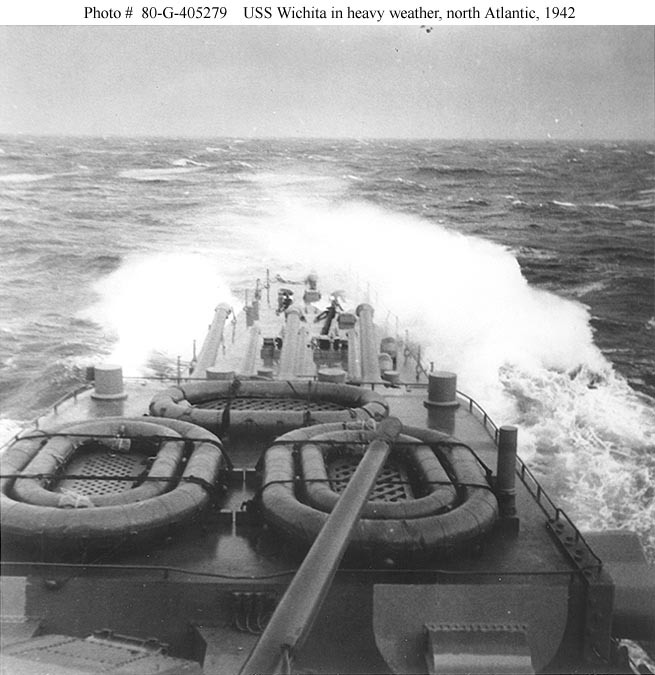 0404536 116k USS Wichita (CA 45) Steaming through heavy weather, while operating as a unit of Task Force Four in the North Atlantic, September 1941. Photographed from USS Wasp (CV 7). Collection of Vice Admiral Robert C. Giffen, USN. 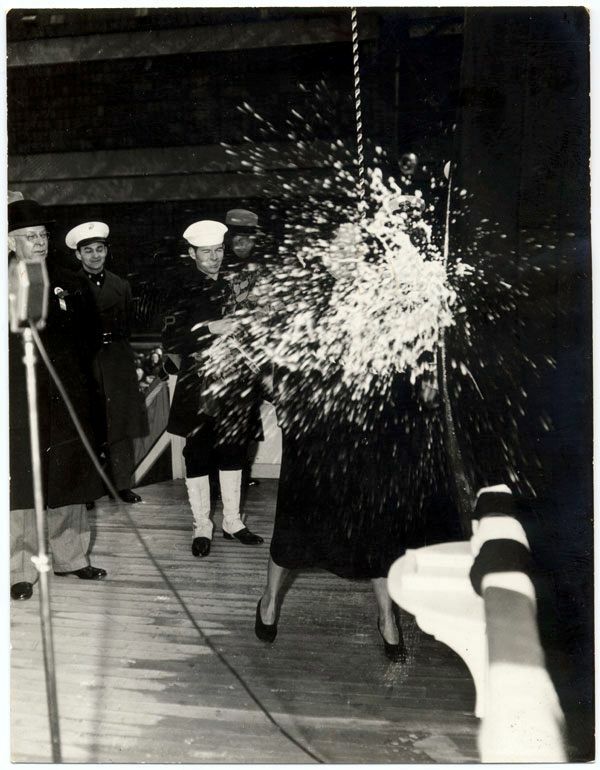 Official U.S. Navy Photograph, from the collections of the Naval Historical Center #NH 94652. 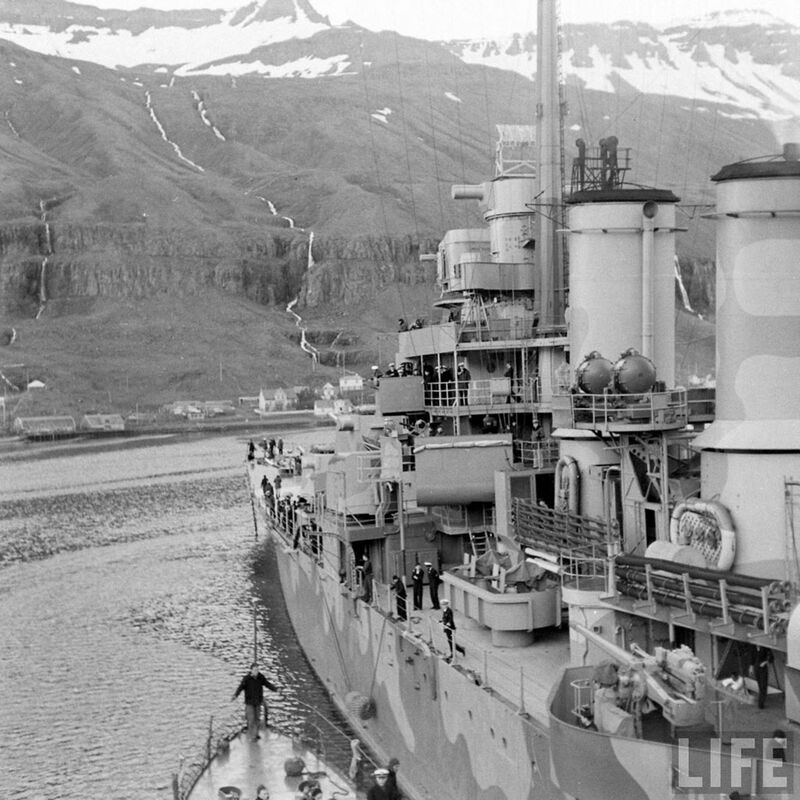 USS Wichita (CA 45) anchored at Hvalfjord, Iceland in October, 1941. Imperial War Museum Admiralty Official Collection, Photo #A5955. 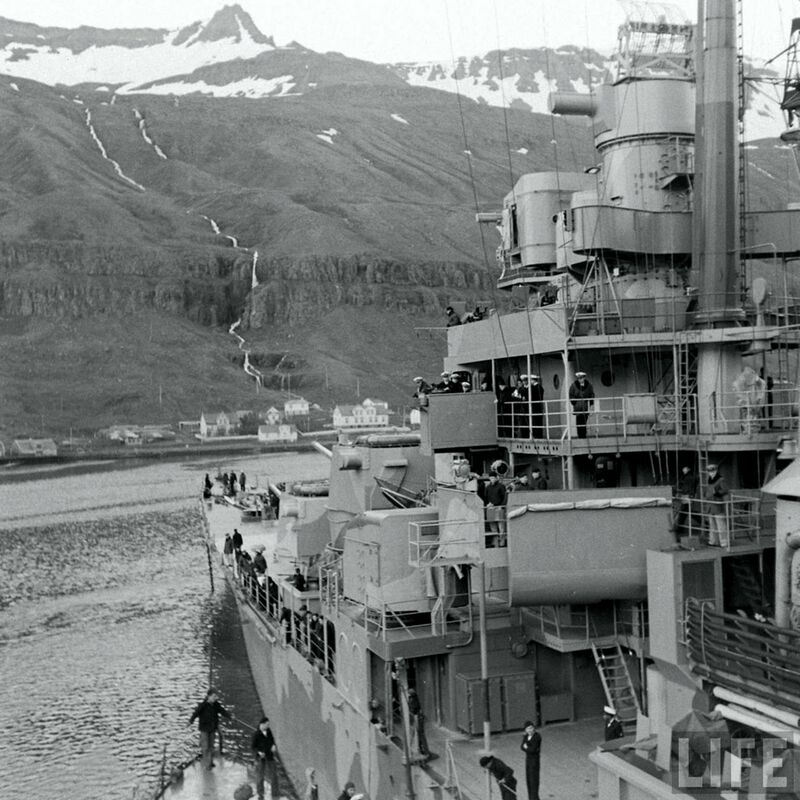 USS Wichita is anchored at Seidisfjord, Iceland on 30 June 1942 as part of joint USN-RN TF99, refueling the DesDiv16 tin cans. 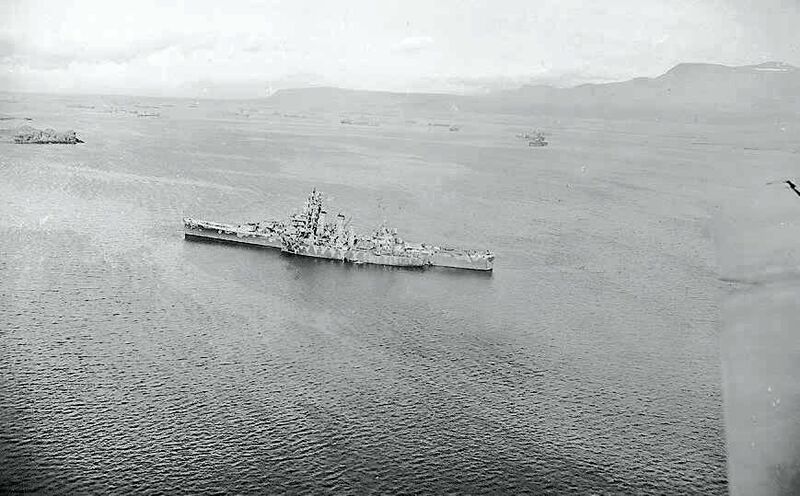 USS Wainwright (DD 419) with ComDesRon8 is alongside. 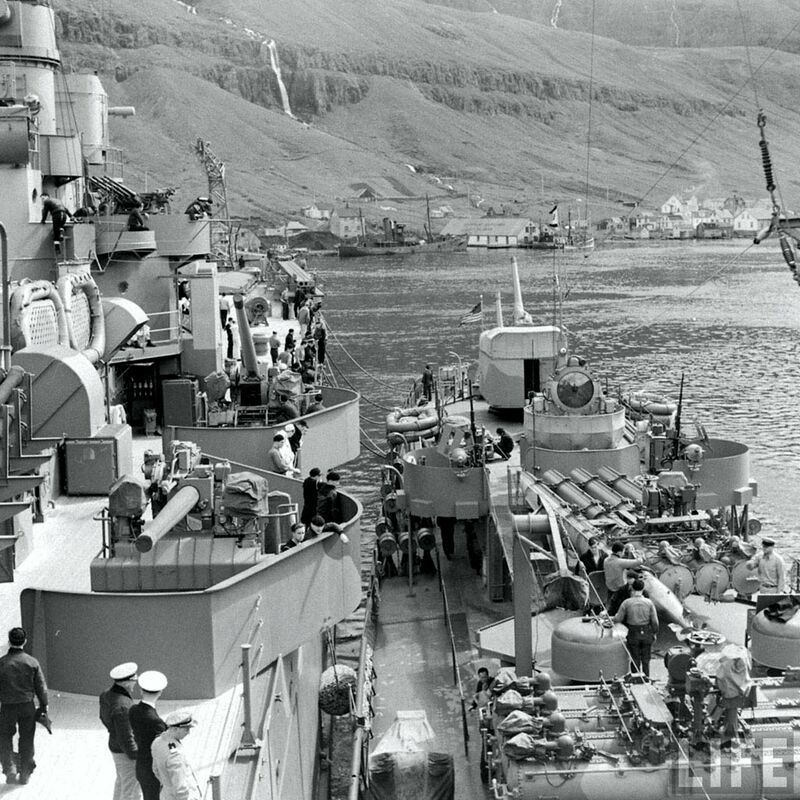 Later that evening they, USS Rowan (DD 405) and USS Tuscaloosa (CA 37) joined the force covering approaching convoy PQ17. Life Magazine photographer Frank Scherschel is aboard. Used for educational and non-commercial purpose. 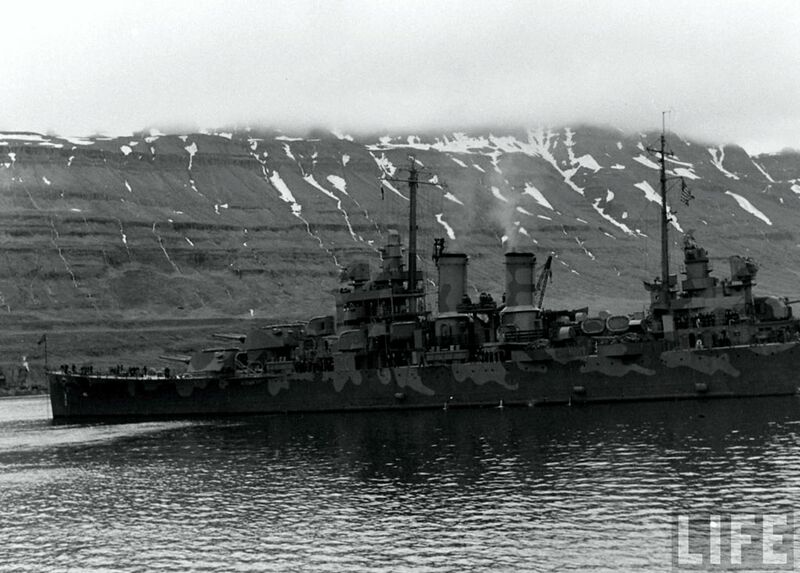 USS Wichita is anchored at Seidisfjord, Iceland on 30 June 1942 as part of joint USN-RN TF99, refueling the Desdiv16 tin cans throughout the day. 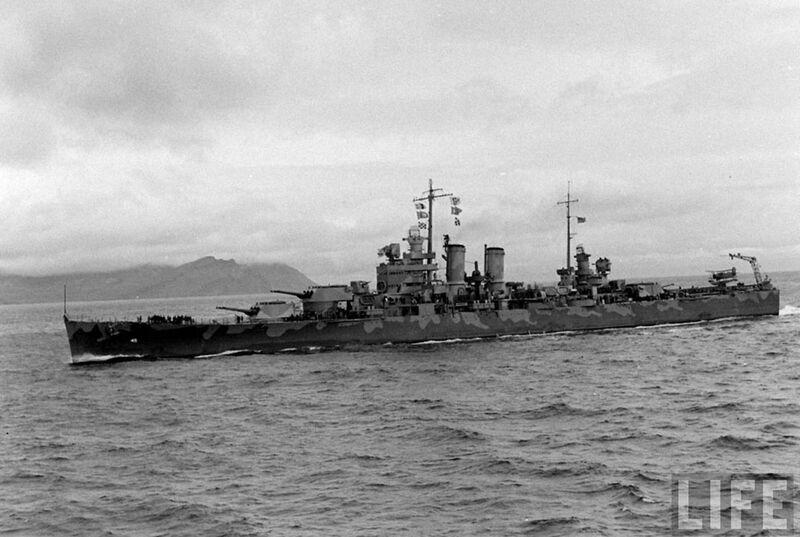 Later that evening Wichita, USS Tuscaloosa (CA 37), USS Wainwright (DD 419), and USS Rowan (DD 405) joined the British force covering approaching convoy PQ17. 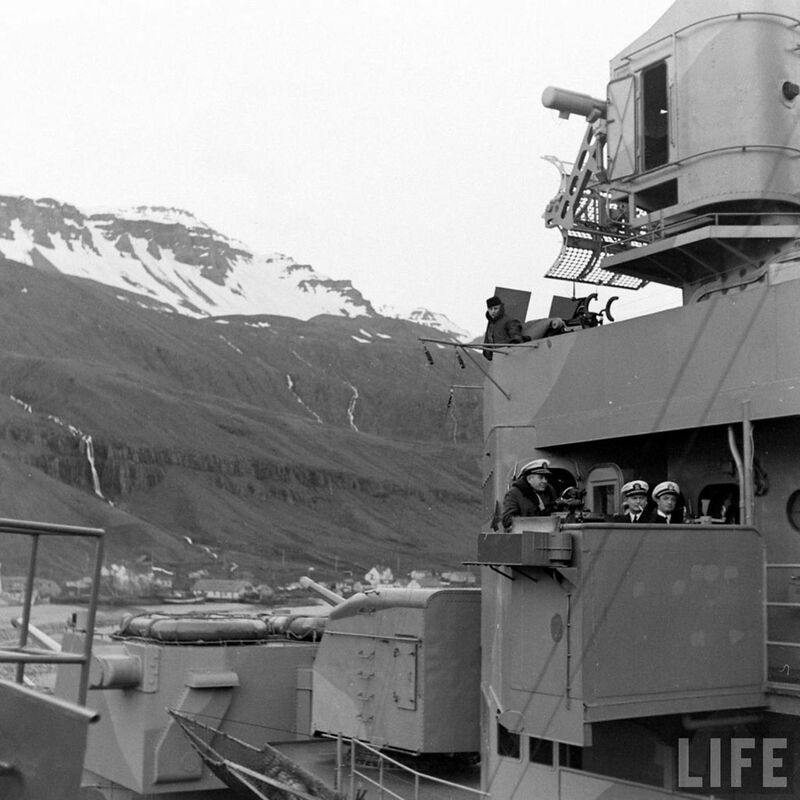 Life Magazine photographer Frank Scherschel is aboard Wainwright while at Iceland. Used for educational and non-commercial purpose. 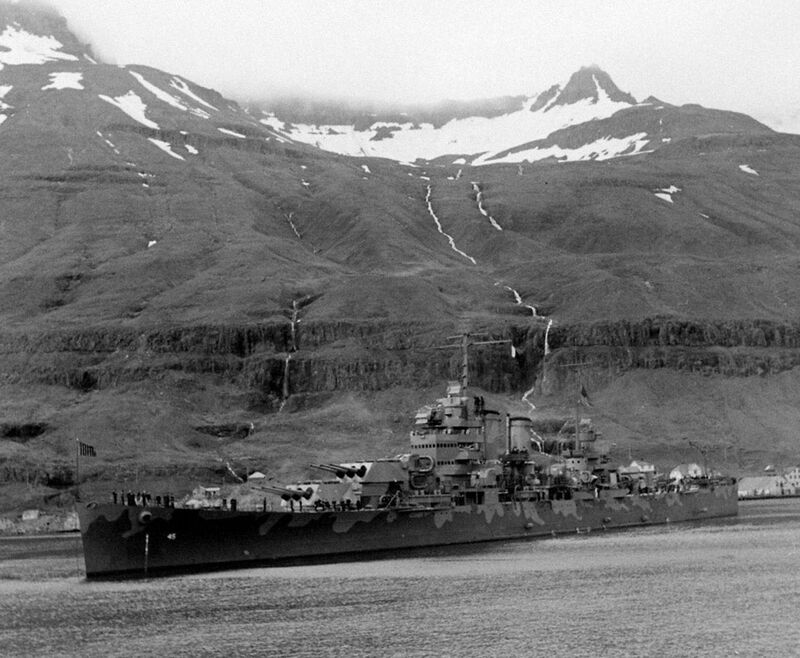 USS Wichita is anchored at Seidisfjord, Iceland on 30 June 1942 as part of joint USN-RN TF99, refueling the DesDiv16 tin cans. USS Wainwright (DD 419) with ComDesRon8 is alongside. 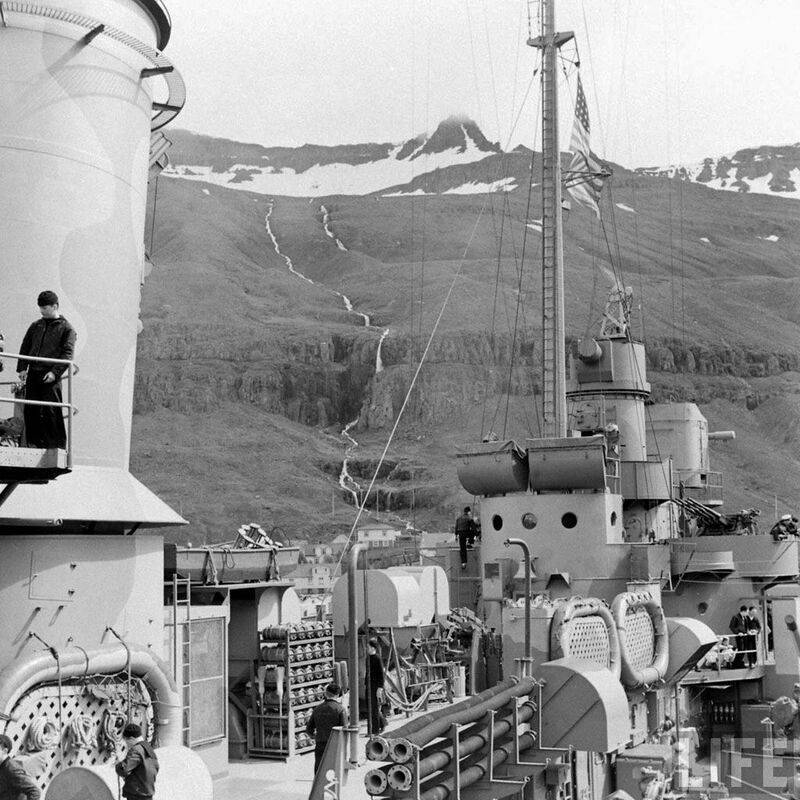 Note the K-Gun projectors Port and Starboard under the 20mm gun tubs and the searchlight between them. 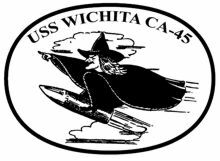 Later that evening they, USS Rowan (DD 405) and USS Tuscaloosa (CA 37) joined the force covering approaching convoy PQ17. 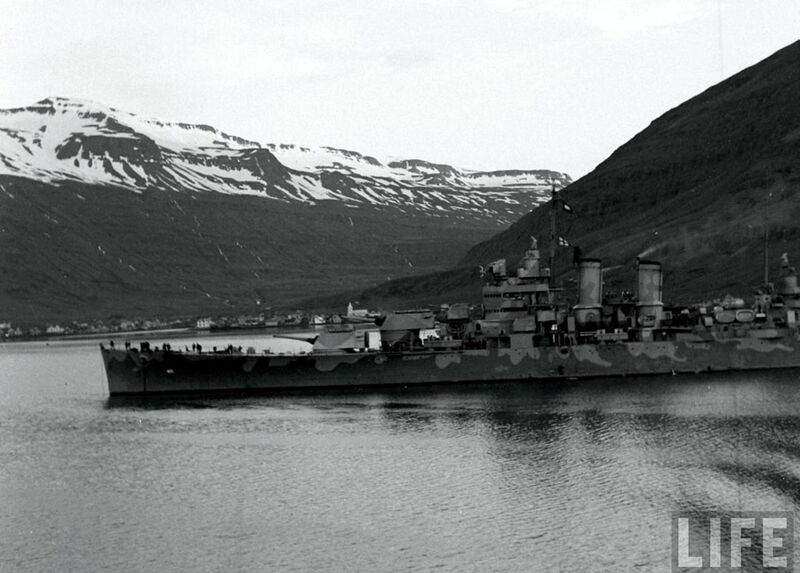 0404560 434k USS Wichita is anchored at Seidisfjord, Iceland on 30 June 1942 as part of joint USN-RN TF99, refueling the DesDiv16 tin cans. 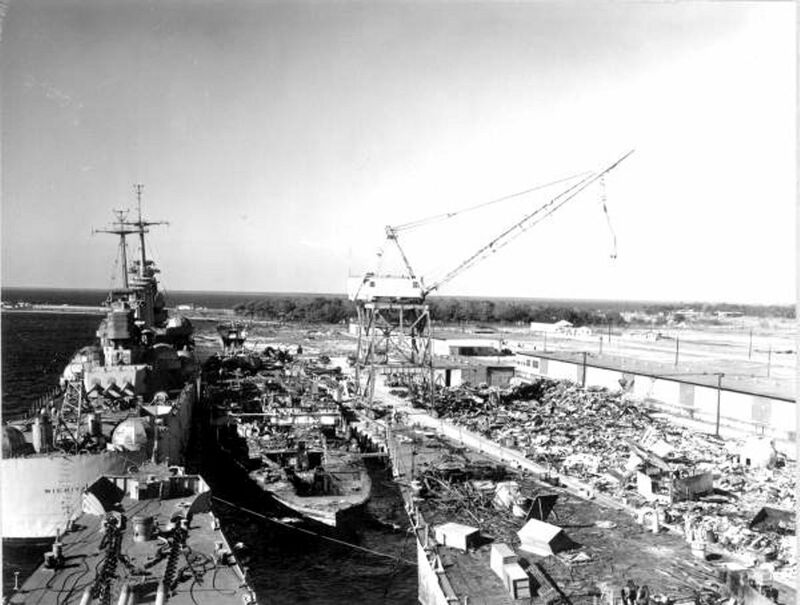 USS Wainwright (DD 419) with ComDesRon8 is alongside. Note that maintenance is being done on one of the Quad 21" Torpedo Tube mounts. Also note the K-Gun projectors Port and Starboard under the 20mm gun tubs. 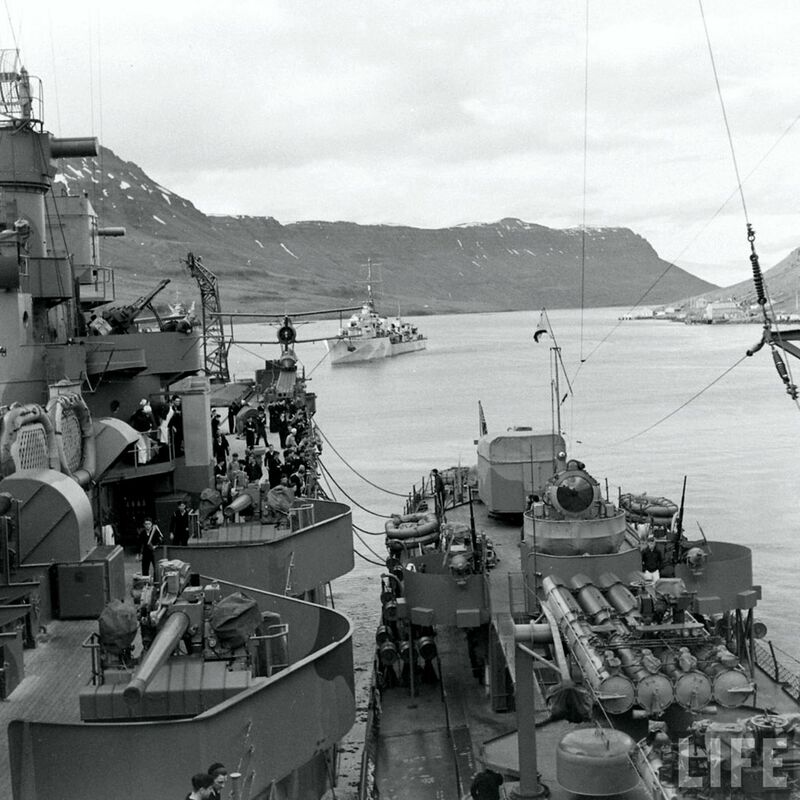 Later that evening they, USS Rowan (DD 405) and USS Tuscaloosa (CA 37) joined the force covering approaching convoy PQ17. 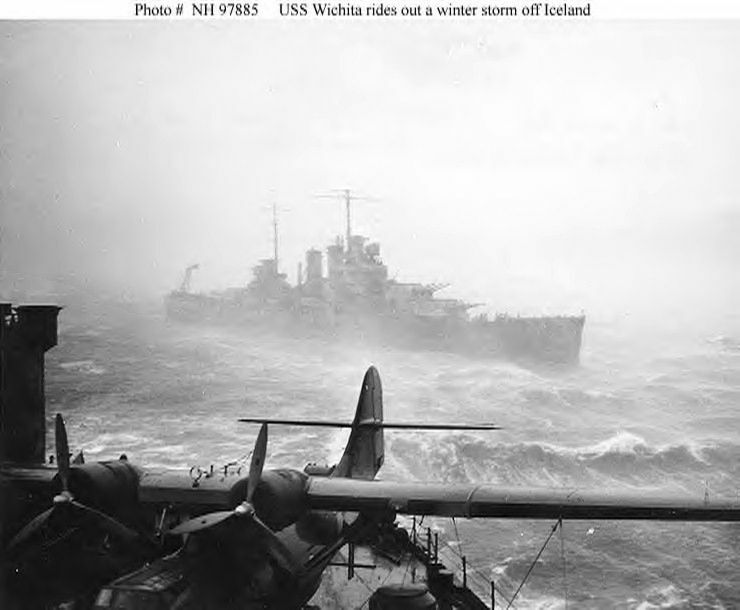 USS Wichita (CA 45) rides out a winter storm off Iceland in 1941-42. 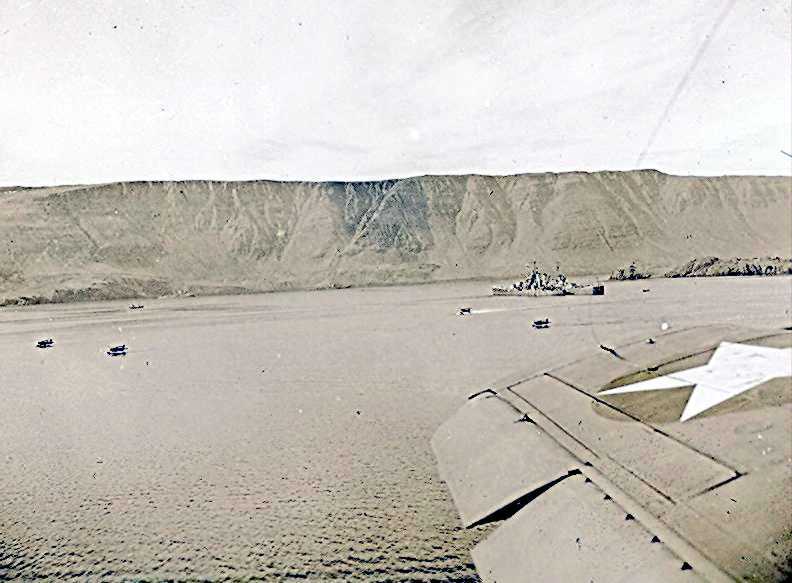 Note the PBY patrol plane on the deck of the seaplane tender from which the photograph was taken. Official U.S. Navy Photograph, from the collections of the Naval Historical Center #NH 97885. 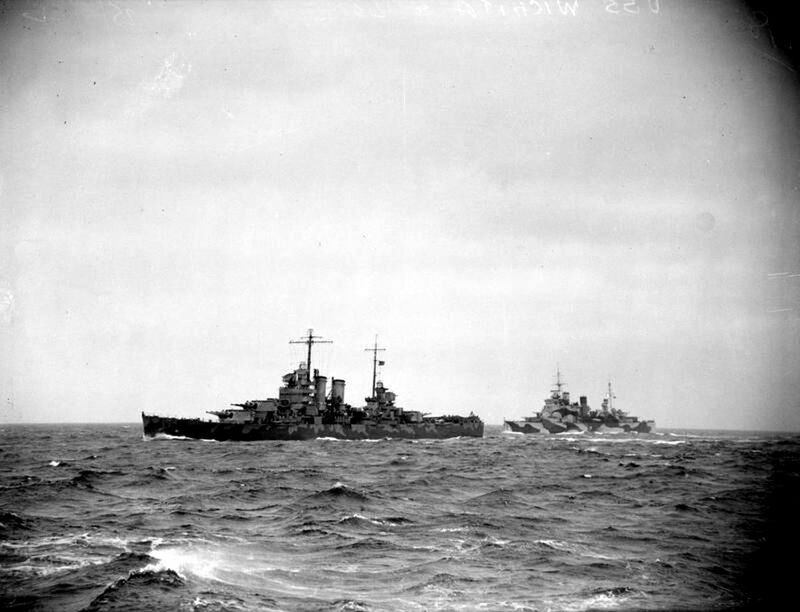 USS Wichita (CA 45) together with HMS London (C 69) in formation while covering a convoy to Northern Russia in May 1942. 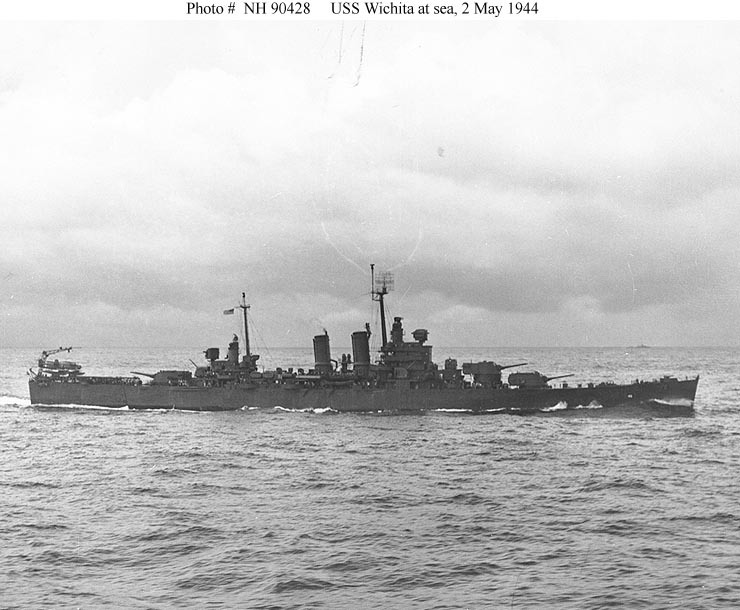 USS Wichita (CA 45) at anchor in Scapa Flow in April 1942. 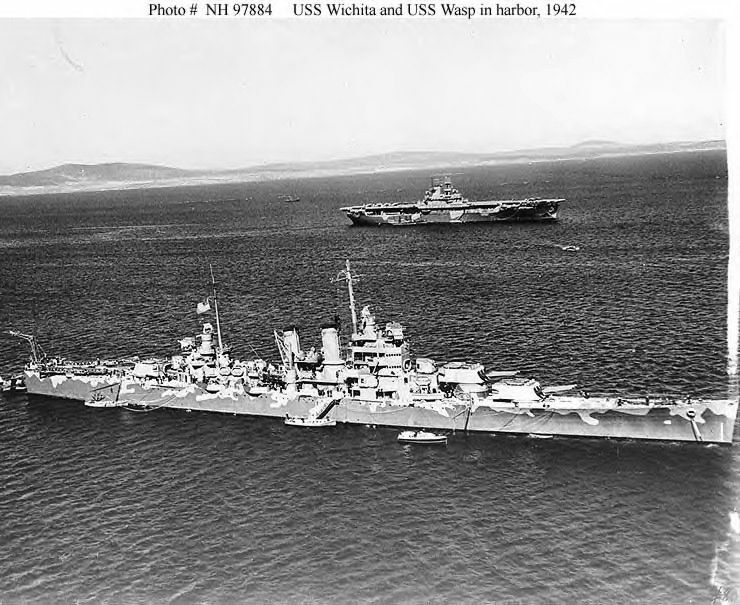 USS Wasp (CV 7) is in the background. Official U.S. Navy Photograph, from the collections of the Naval Historical Center #NH 97884. 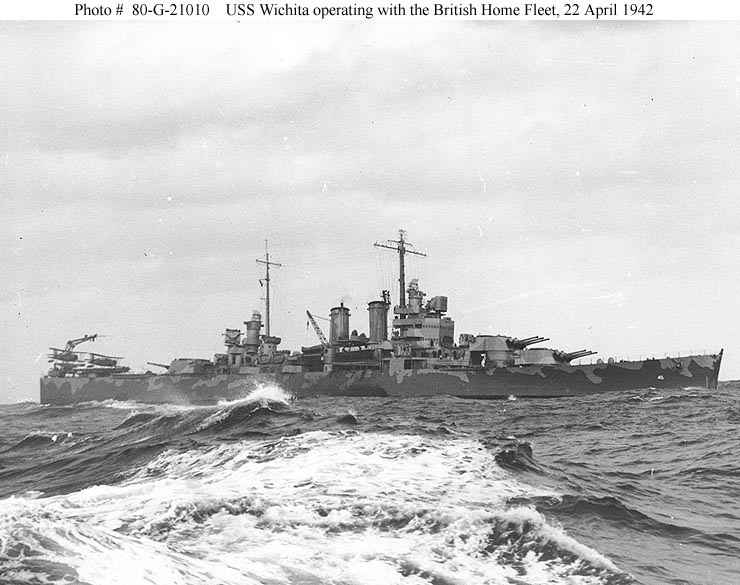 USS Wichita (CA 45) Operating with the British Home Fleet, in the vicinity of Scapa Flow, 22 April 1942. Official U.S. Navy Photograph, now in the collections of the National Archives #80-G-21010. 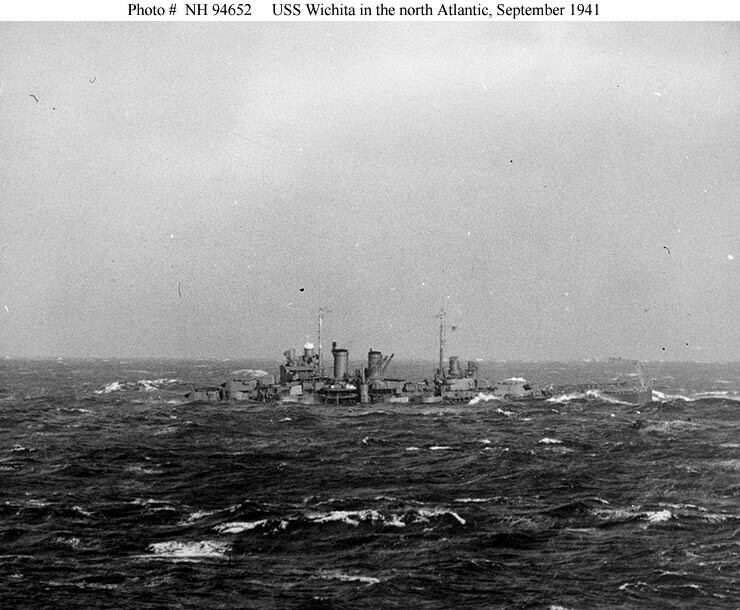 USS Wichita (CA 45) in heavy weather, while patrolling in the North Atlantic, circa early 1942. 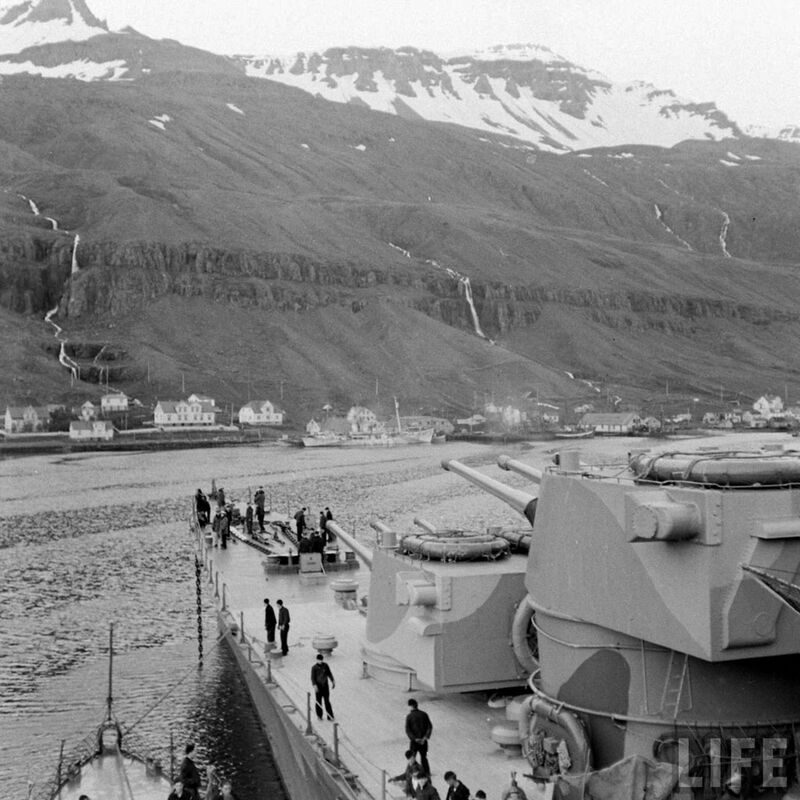 View looks forward from the pilothouse, with the forward 5"/38 gun's barrel in the foreground. 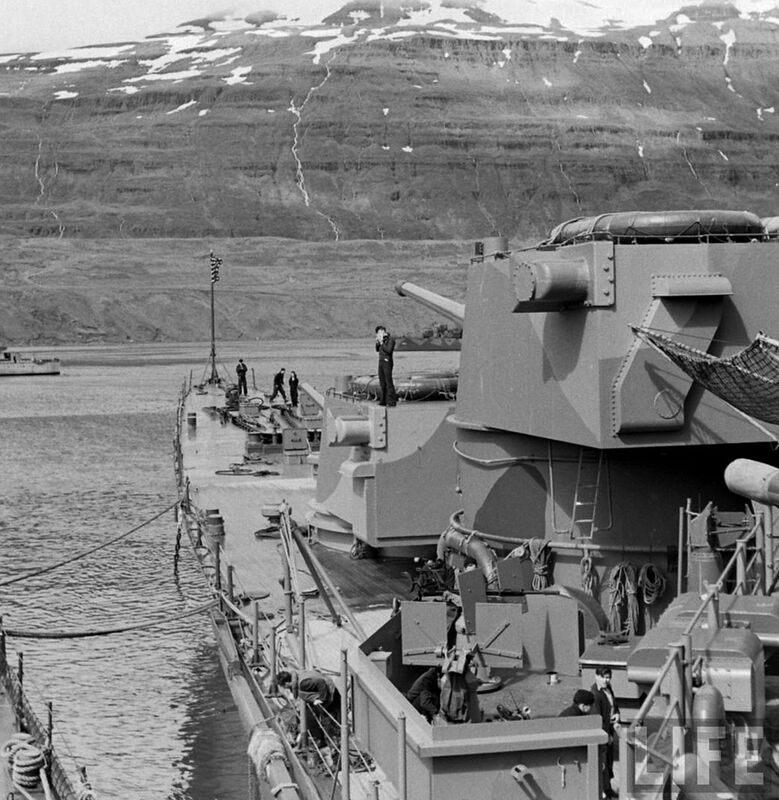 Note the life rafts stowed atop the # 2 eight-inch gun turret. 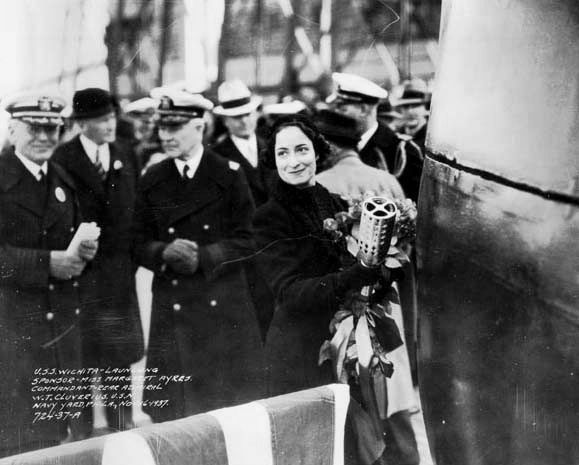 Official U.S. Navy Photograph, now in the collections of the National Archives #80-G-405279. 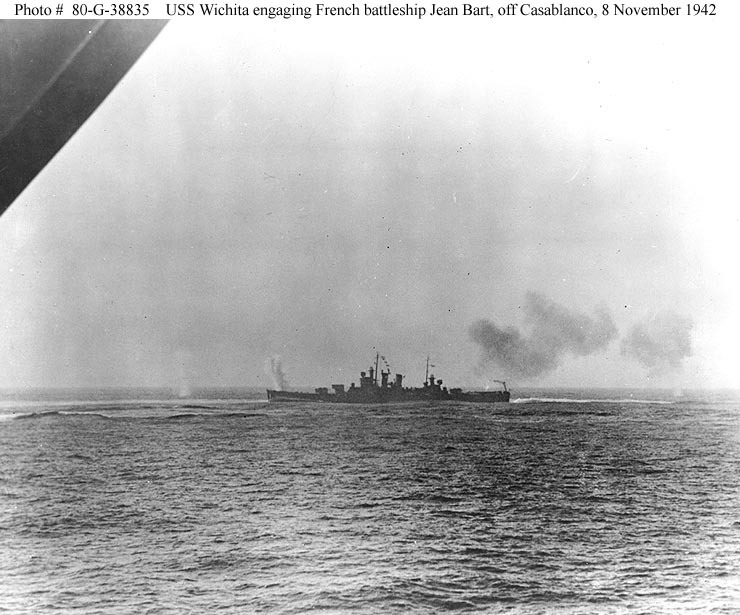 Battle of Casablanca, November 1942 USS Wichita (CA 45) engaging the French battleship Jean Bart, off Casablanca, Morocco, on 8 November 1942. 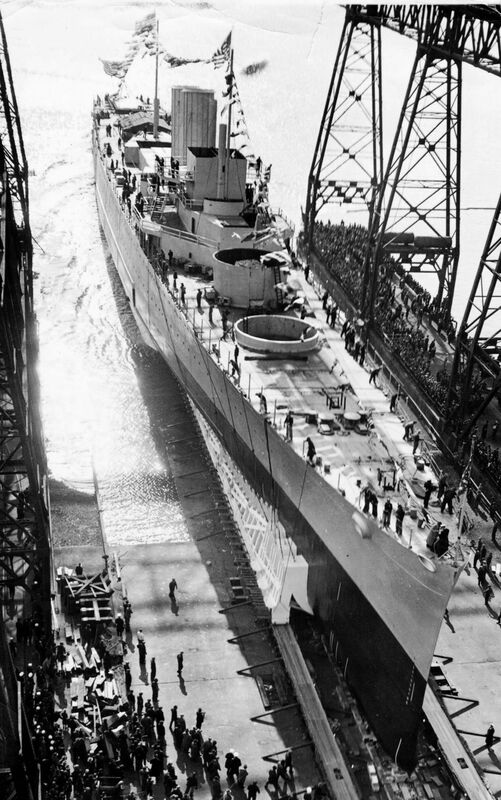 Note the shell splashes off Wichita's bow. Official U.S. Navy Photograph, now in the collections of the National Archives #80-G-38835. 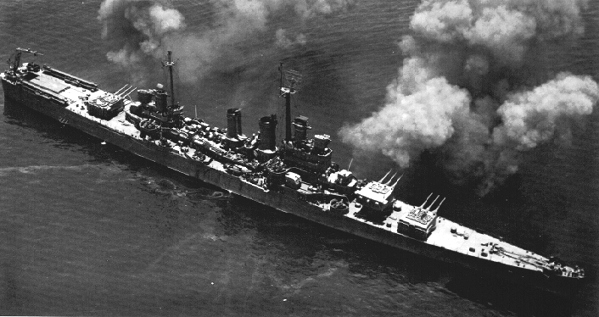 USS Wichita (CA 45) Underway at sea, 2 May 1944, during operations in the central Pacific. Official U.S. Navy Photograph, from the collections of the Naval Historical Center #NH 90428. 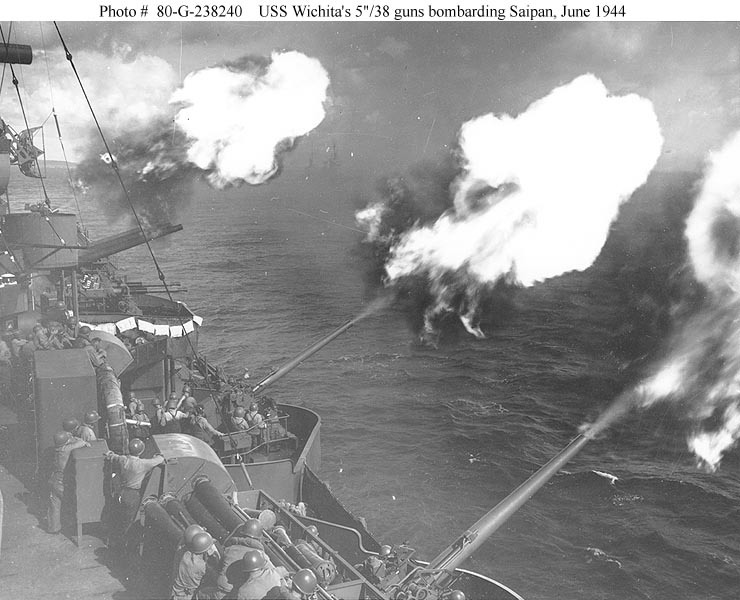 Saipan Operation, June 1944 - Port side and after 5"/38 guns of USS Wichita (CA 45) firing on enemy targets on Saipan, 26 June 1944. The guns' simultaneous discharge indicates they are firing under director control. 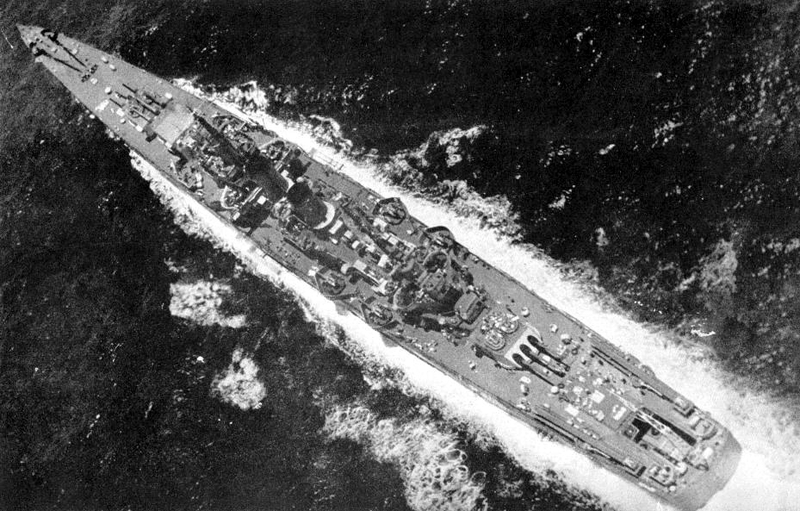 Note the 40mm gun mount at left, with ammunition loaded but no personnel present. Official U.S. Navy Photograph, now in the collections of the National Archives #80-G-238240. 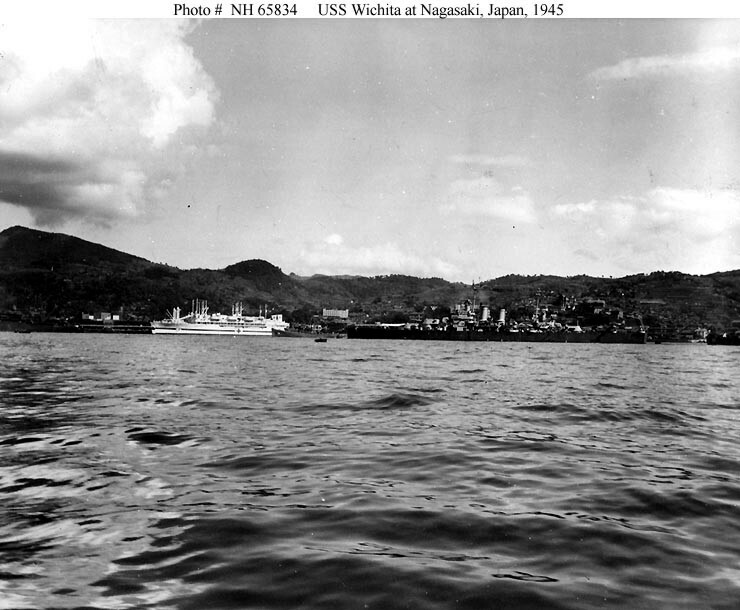 0404537 104k USS Wichita (CA 45) in Nagasaki Harbor, Japan, in September 1945, a few weeks after the end of World War II. 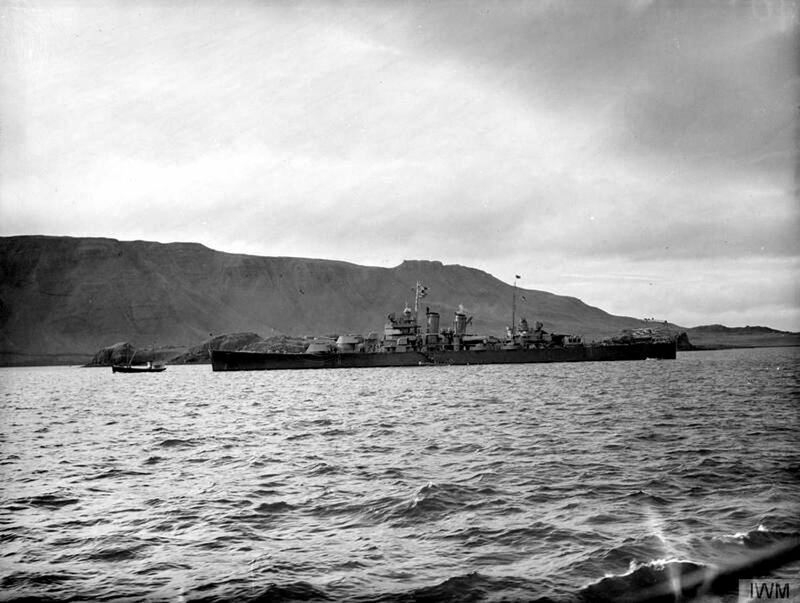 Hospital ships in the left background are USS Sanctuary (AH 17) and USS Haven (AH 12). 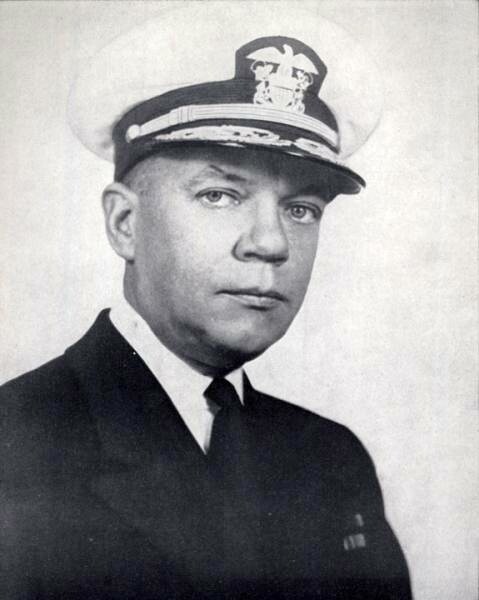 Collection of Admiral Harry W. Hill, USN, 1968. U.S. Naval Historical Center Photograph #NH 65834.